Please visit our blog where we share legal insights, thoughts on legal news and much more. Below are some of our most recent posts. To subscribe to our family law blog or receive posts by email, submit your email address on the blog page where it says "Subscribe" in the left column. "The financial implications of a divorce are serious, and our clients know they can rely on the sound legal counsel that Bob offers them," said Founder and Managing Partner Jeffrey M. Williams. "We congratulate him on earning this important advanced legal degree and look forward to continuing to put those skills to work as we advocate for our clients during difficult times in their lives." 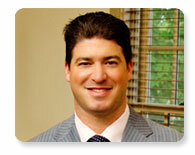 Read more about this announcement: Salzer Earns LLM in Taxation. Q: What types of assets are divided in a divorce? Q: What factors influence the division of marital property? Under Pennsylvania law, grandparents may also seek custody rights of their minor grandchildren if they were acting in the role of the parents (in loco parentis) by providing them with financial, educational and emotional support. When a parent files for divorce or passes away, grandparents and step-grandparents are often prevented from seeing their grandchildren. In all custody-related cases, the grandparents must prove that the requested custody would be in the best interests of the grandchildren and would not interfere with the relationship between the parent and the minor children. The experienced family law attorneys at Williams Family Law understand the importance of grandparents' custody rights. We are available to help grandparents who are seeking visitation with their grandchildren, as well as grandparents who wish to establish formal legal or physical custody of their grandchildren. Find out more about the legal details involved in Grandparents' Custody Rights. As part of a Bucks County law firm, we live and work in a beautiful area in the Greater Philadelphia region. One of the jewels of Doylestown, where our office is located, is Star Garden Park, located on Printers Alley. 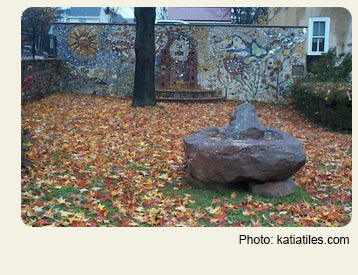 A "pocket park" in Doylestown, Star Garden Park boasts a community-made tile mosaic that reflects Doylestown’s rich history in the tile making arts. Star Park is one of seven parks owned and maintained by the Borough of Doylestown. With all seven spaces combined, parkland in Doylestown Borough totals more than 80 acres, providing plenty of space for a broad range of community activities. Copyright © 2016 Williams Family Law, P.C. In some states, this correspondence may be considered attorney advertising. Transmission of this document is not intended to create, and receipt does not establish, an attorney-client relationship. This newsletter is intended for informational purposes only and should not be construed as legal advice on any subject matter. The contents of the email do not necessarily represent the opinions of Williams Family Law, P.C. or its clients. If you require legal advice, you should retain competent legal counsel to advise you. If you would like to retain Williams Family Law, P.C., please contact one of our lawyers, who will be pleased to discuss how our firm can assist you. An attorney-client relationship will arise between you and our firm only if we specifically agree to act for you. Unless and until we specifically agree to act for you on a matter, you should not provide us with any confidential information or material.